Law Professor Lyrissa Barnett Lidsky says new ways of communication – specifically the Internet – test the right to speak anonymously as never before. Lidsky’s article Consider the Source: Identity, Anonymity and the Demands of the First Amendment, addressed the uncertain status of the First Amendment right to speak anonymously..
Lidsky’s research examines all of the components of anonymous speech, both positive and negative, and strives to attain a balance between the two. One of the largest areas for anonymous speech is blogs, or Web logs – online diaries where writers publish their opinions on the Internet. Lidsky is researching whether publications by bloggers deserve the same constitutional protection as publications of the mainstream press. “Many bloggers have been threatened with libel actions based on information they posted on their blogs, but it is not entirely clear whether the First Amendment protects bloggers against defamation liability to the same extent it protects the institutional press,” Lidsky says. She is also investigating whether bloggers should be eligible to rely on a “reporter’s privilege” for public events or receive a press pass (like many did at the 2004 Democratic and Republican conventions). “These issues are important not just from a practical standpoint, but they force the courts to address the foundations of the First Amendment,” Lidsky says. 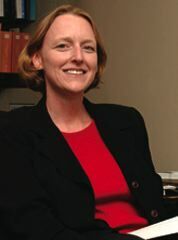 Her plans for the future include conducting further research on the intellectual history of the First Amendment.